professionals are available to provide Telehealth via the internet. 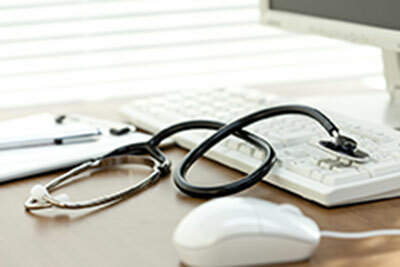 Telehealth is a medical consultation performed by our specialists doctors via internet-based videoconferencing. The greatest benefit of Telehealth is that patients and their families do not need to undertake costly and time-consuming travel to acquire specialist medical care. Telehealth can also allow patients and their families to obtain second opinions for medical issues. Am I Eligible for Telehealth? Telehealth is available for patients who live outside major cities, and in remote areas with little access to specialist medical care. To determine if you are eligible, visit the website doctorconnect.gov.au. This website will allow you to check if you live within an area that is eligible for Telehealth. Alternatively, you may consult with your local General Practitioner or medical/health provider to ascertain if you are eligible for Telehealth. What do I need for Telehealth? Telehealth is offered via the internet, therefore a computer with a webcam and microphone is essential for a Telehealth consultation. The webcam and microphone can either be built into your computer or can be added-on peripherals connected to your computer. You will also need an internet connection and a valid email address. At the time of the Telehealth appointment, we will email you a secure link that will enable you to launch the Telehealth videoconferencing session over an internet browser. Telehealth consultations can be performed at your home or at your local healthcare provider’s practice. How do I make an Appointment for Telehealth Consultation? To make a Telehealth appointment, please contact us on (02) 8960 9455 or email us at info@nullthepaediatricspecialists.com.au. Our hours are Monday to Friday 8:30am – 5pm. We are happy to assist you with any enquiries about Telehealth.